Wearing shorts is one of the best ways to stay cool during the summer. Shorts are perfect for weekend shenanigans, dog walks, the beach, the pool, barbecues, picnics, romantic walks in the park…you get the point. Shorts are inherently casual, but that doesn’t mean they have to look adolescent and sloppy. 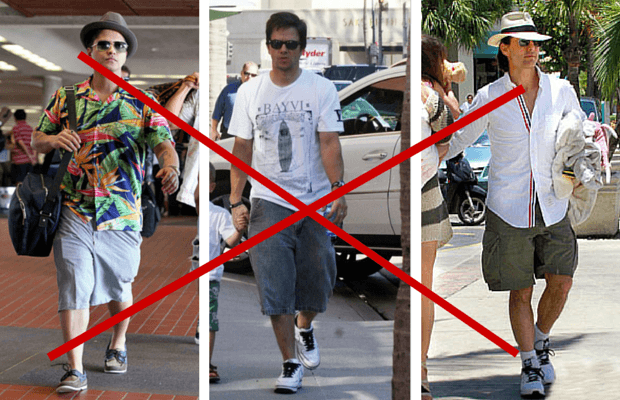 So why do most men look so bad wearing shorts? Well, they’re just not wearing them correctly. Their shorts don’t fit, and they’re not wearing the right styles. 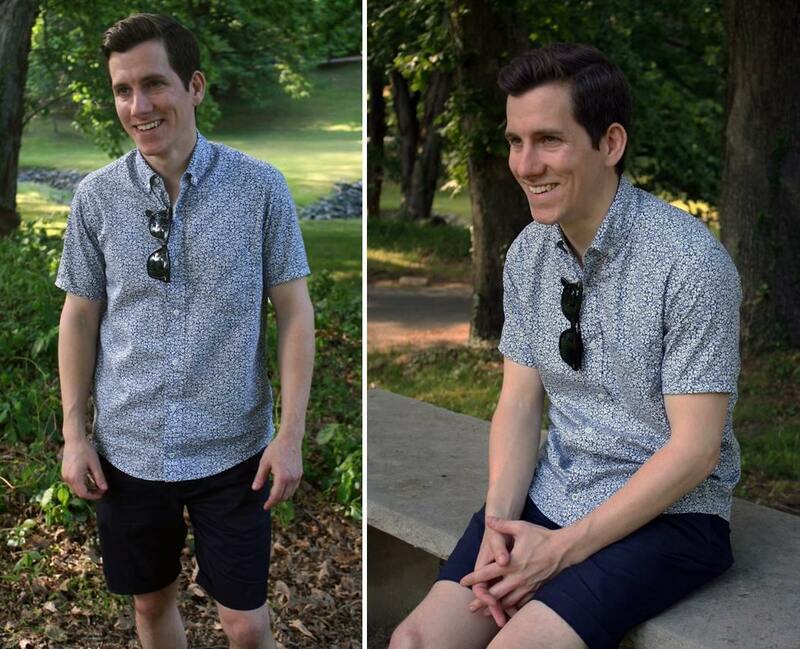 This post teaches you how to avoid these mistakes so you look amazing wearing shorts like the laid back, stylish gent you are! Just like with swim trunks, it’s crucial that your shorts don’t go past your knees. They should stop at the top of your kneecaps (at the longest). 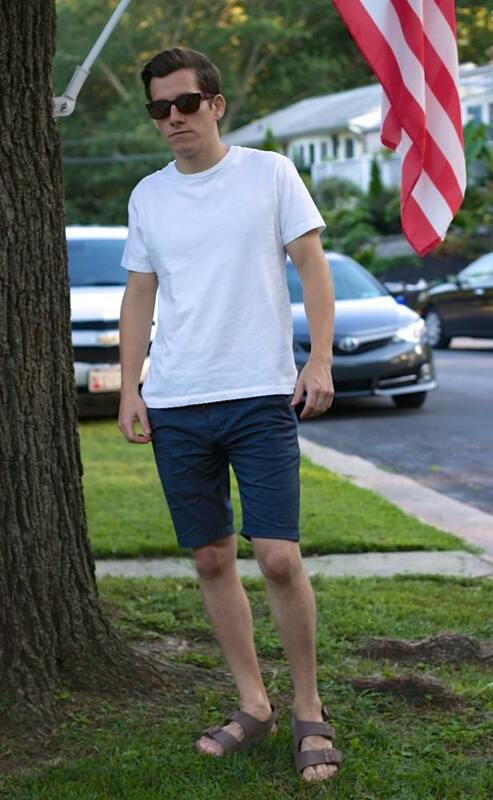 Ideally, your shorts will stop an inch or two above your kneecaps, but this is a matter of personal preference. Just like pants, the length of your shorts is measured along the inseam. The best length for men under 5’9″ is 7″. If you’re under 5’5″ or just want to show a little more thigh (highly recommended) you might want to wear 5″ shorts instead. Just like pants, most mass-manufactured shorts will be too wide through the leg. Unless you have thick legs, you’ll need to look for “slim fit” shorts or get your shorts tailored. Plus it makes your legs look thin and weak because they’re being swallowed up by your shorts. Your shorts don’t have to be skin tight. They should be fitted and comfortable. Make sure you there’s a little wiggle room between the fabric and your skin, but not more than a couple of inches. Just like pants, shorts can be hemmed. Or, if you don’t want to pay the tailor tax, you can also just roll your shorts up. You can also get them tapered for $15-25 and have the waist adjusted by 1-2″ either way. When trying on shorts, it’s most important that they fit in the seat and crotch. Everything else can be fixed. Stick with solid colors and small scale patterns or prints. For example, if you like polka dots or floral prints, that’s totally fine. Just make sure they’re small in scale (small dots or flowers). If you’re looking to revamp your shorts collection and find a new brand that’s perfect for you, I recommend ordering a few pairs off this list. Once you find something that fits, order a couple of different styles and colors, then you’ll be set for a while!